From a young age, Michael was employed as a apprentice/helper primarily to his father after school, weekends and summers. Upon graduating high school in 1971, he felt it was appropriate to serve our country and enlisted in the Ct. Air National guard. Michael served his time in the Air Force away and locally at the 103rd Tactical Fighter group located at Bradley Field. Upon receiving honorable discharge from the Air guard at rank of Staff sergeant, he returned to full-time employment at Sher’s Service. 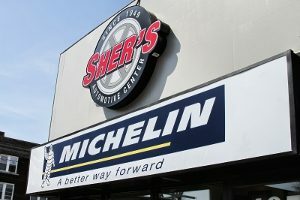 Mike proceeded to refine his automotive and business skills working for his father until 1979 at which time he purchased the business and assets known as Sher’s Service. They began the transition in August 1979 with the original staff and gradually improved the business to the point we needed more room. In 1984 we expanded our building and remodeled the old structure to what is basically what you see today.